A delta changes. All the time. Every year, Ráhpaäno suorgudahka (the Lájtávrre Delta) grows 5 m out into the lake. There are three areas in Laponia that lie neither in a national park nor in a nature reserve. They are Ráhpaäno suorgudahka (Lake Lájtávrre Delta) Tjuoldavuobme and Sulidälbmá. All three belong to the most beautiful and fascinating areas in the World Heritage Site. In the future, these three areas can become part of the national parks in Laponia. When you arrive at Ráhpaäno suorgudahka and look out over the delta surrounded by cliffs 600 m high, it is easy to become breathless. It is not strange that many of the places around it are considered sacred. There are many old sacrificial sites around Lake Lájtávrre. It is said that nine bears were shot at the stone called Áktsegállo. That is why the dwelling site down by the lake is called Aktse, which means “nine” in Sámi. The scenic delta, shimmering turquoise, meandering below the mountains Skierffe and Tjahkkelij, is one of the most photographed places in the whole of Laponia and represents the essence of Sarek, but in fact the Lake Lájtávrre Delta, or Ráhpaäno suorgudahka as it is called in Sámi, lies outside Sarek and forms the gateway to Ráhpavuobme, the Rapa Valley. The River Ráhpaädno is the main artery of Sarek. It transports sludge from about 30 glaciers and everything is dumped in Lake Lájtávrre. It is the fastest-growing delta in Sweden. The river divides into countless lagoons, and courses that make their way across the landscape, constantly changing. One day you can walk in a place with dry shoes, and the next day you need a boat at the same place. This type of land is excellent for haymaking. It was the main reason why some Sámi settled at Aktse and became non-nomadic farmers in the beginning of the 19th century. The farmstead lies near the tourist cabins at Aktse and is still used by the Läntha family. Today the delta is most popular as foraging land for moose, and as moose hunting grounds for the locals. 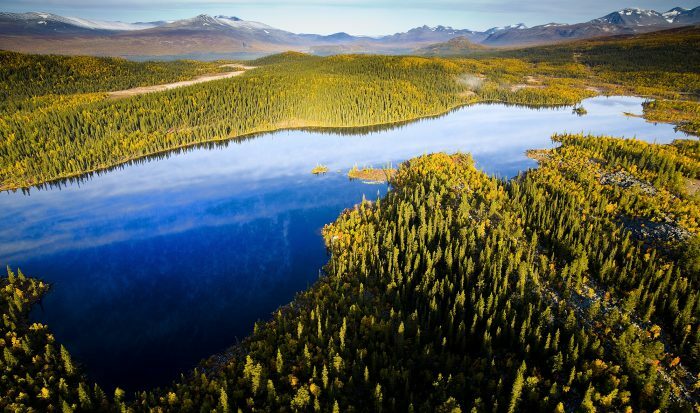 Tjuoldavuobme borders on Sarek and Badjelánnda and is known for its old, untouched forest, abundant in wildlife. The Swedish name is the Tjuolta Valley. 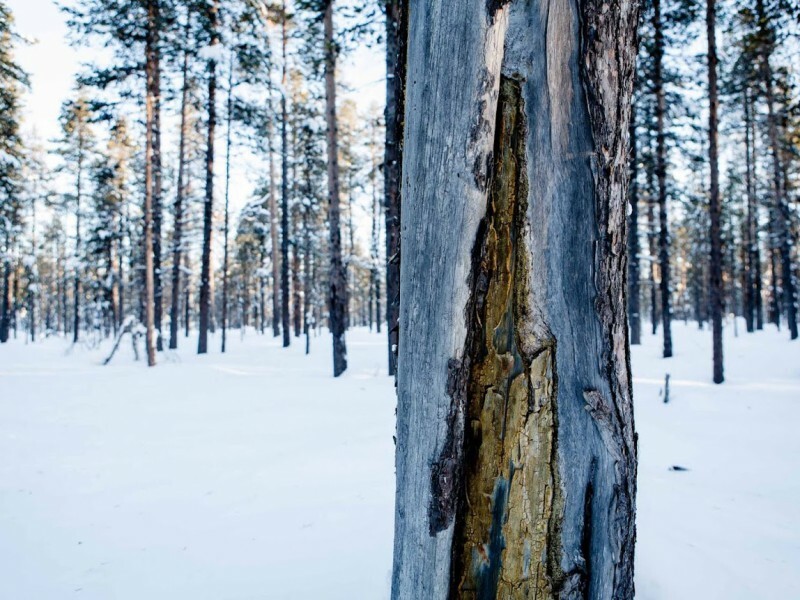 Vuobme is the Sámi word for deciduous forest, but in the lower parts of the valley there is also real old-growth pine and spruce forest. Farther up in the valley, mountain birch forest covers the sides. Predators thrive in Tjuoldavuobme and the valley is an important area for species such as moose, bear and wolverine. A Swedish proverb has it that “a loved child has many names”. This applies especially if two countries are involved. In Norway, Sulidälbmá is spelt Sulitjelma. In Sweden, the Sámi name is used. But it is the same area – alpine mountains and enormous glaciers, where the Norwegian Swedish border cuts right through the mountain massif, splitting the vast Sállajiegŋa in two parts. Sállajiegŋa means ”crevasse ice” and is the biggest glacier in Sulidälbmá. To stand at its foot is the closest to the ice age we can get. The bluish-white ice colossus curves down, calving into a turbid glacier lake. Below the glacier, reindeer forage in summer, having come up here to escape the mosquitoes. Avalanches from the steep mountain sides affect the water, so that the fish in Lájtávrre sometimes disappear for years. The river water becomes so full of sludge that fish cannot live in it. The Swedish Tourist Association (STF) was founded in 1885. One of the founders was Fredrik Svenonius. He came to the early realisation that the increasing tourism demanded transport, trails and overnight accommodation. Tarraälv River cabin was one of the very first to be built. The cabin was completed in 1889. The reason for building it was that at the time Sulidälbmá was thought to be the highest mountain in Sweden, and tourists and mountaineers would need overnight cabins along the 60 km route to Sulidälbmá. The trail from Kvikkjokk to Sulidälbmá is Sweden’s oldest tourist trail. In Northern Sweden, above all in the areas bordering on the mountains, there are still many areas with more than 10% old-growth forest.